What’s the scoop: Tanya, one of the cult members, shows up at Jimmy’s office with a creepy leatherbound volume which contains the notes of cult leader, Thomas Coville. Tanya is the only one who can translate the Kryptonian writings, and she believes that the remaining cultists are trying to use the knowledge within to make a bomb. In a related plot, Lena has hit stumbling blocks in her attempt to save Sam, and the book may contain some clues to help her. Everybody is struggling with their feelings because of jealousy, secrets, and the often painful nature of the truth. Meanwhile in B Plot Land: Ruby is under Alex’s care and in a total funk. Ruby has all the normal teen angst, though hers is amplified because she just found out her mom is a legit supervillain, and she’s afraid the same thing might happen to her. Alex turns to parenting books for the answer. One suggestion takes Alex, Ruby, J’onn and M’yrnn to a video arcade. Whoever thought taking someone with both PTSD and dementia to a place with sounds of combat and general over-stimulation was a good idea needs their head examined. After a rough start, however, Ruby and M’rynn bond over foosball, which brings them both out of their relative shells. Afterward, to further cement the Alex-Ruby bond, Alex dyes Ruby’s hair blue. Meet Me on the Balcony: They didn’t spend a lot of time in the DEO offices this week, but that didn’t stop everyone from getting in touch with their feelings. Kara debated about whether she should reveal her secret identity to Lena, because it hurts when Lena throws shade at Supergirl to her. 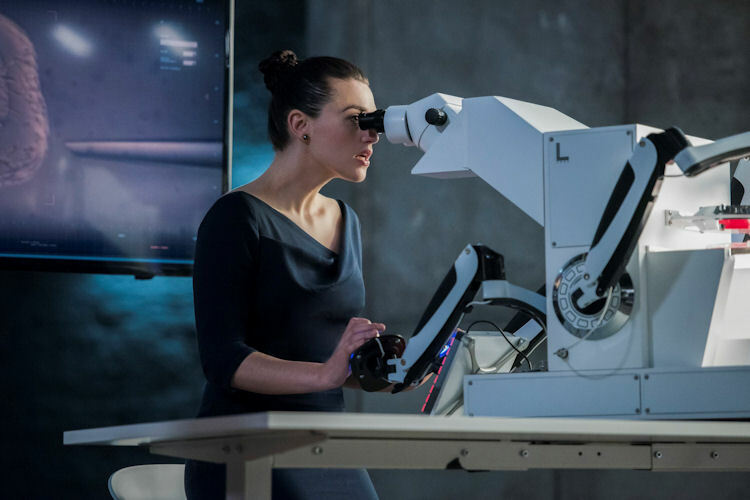 The general consensus was that there are way too many episodes left in the season for a reveal of that magnitude, so Lena and Kara/Supergirl just have to continue to be frenemies for a while longer. What about the action: It turns out the cultists weren’t trying to make a bomb, but were trying to build a rock that creates worldkillers. This knowledge is both an immediate danger, and a potential cure for Sam. Tanya offers herself up as bait, and Mon-El works his way in as a lost hipster who stumbled into the wrong ride share. There is also an extended riff about Jimmy and his reasons to be Guardian. After his helmet gets knocked off in a fight, Tanya discovers his true identity. When the police arrive, they focus on the unarmed (but armored) black guy, and let the white kids with guns run off without a chase. The cult threatens to expose Jimmy, and he recounts to Lena the first time he was unnecessarily put in handcuffs by racist police officers. In the end, the cult’s plans are foiled, and Winn and Lena identify a rock in space with the same radiation signature as the cultists’ concoction. 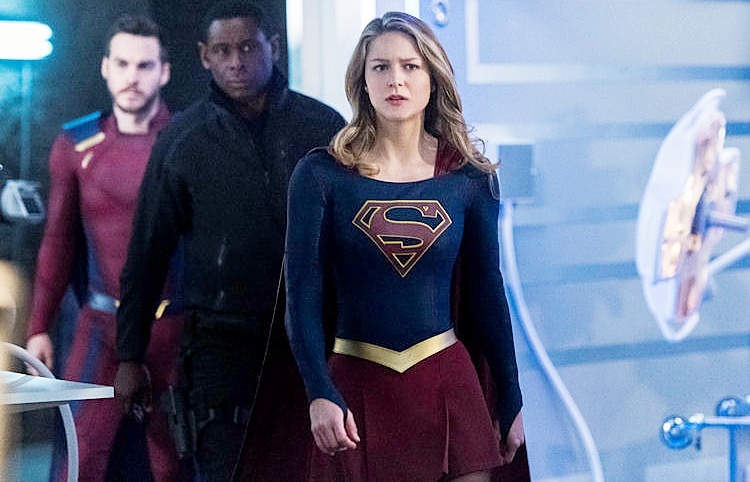 Kara and Mon-El have to hurry because Reign is mere episodes … er, hours … away from escaping her enclosure. What’s next: Getting in touch with your feelings in spaaaaaace! Last impressions: As you can tell, this was a mishmash of filler story waiting for the proper time to start the season’s endgame. 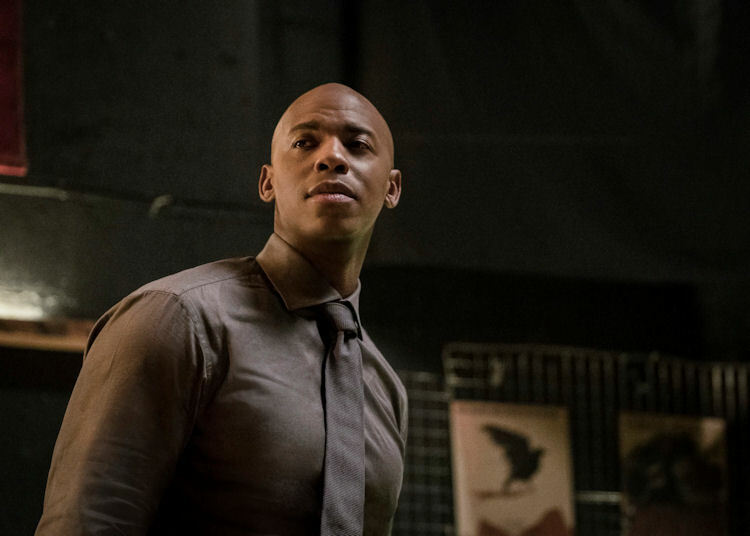 The Jimmy/Black Lives Matter segment was a troubling inclusion only because it evokes the infamous gun episode of Arrow, where they debated gun matters, and then went back to gunplay as usual the next week. As the success of Wonder Woman and Black Panther on the big screen show, representation does matter. It’s a worthy issue to address on a small screen superhero series as well. However, this should have been a part of Jimmy’s story all season. It feels like this is the first and last time we’ll have the opportunity to explore this with Jimmy, which does the character and the issue a huge disservice. 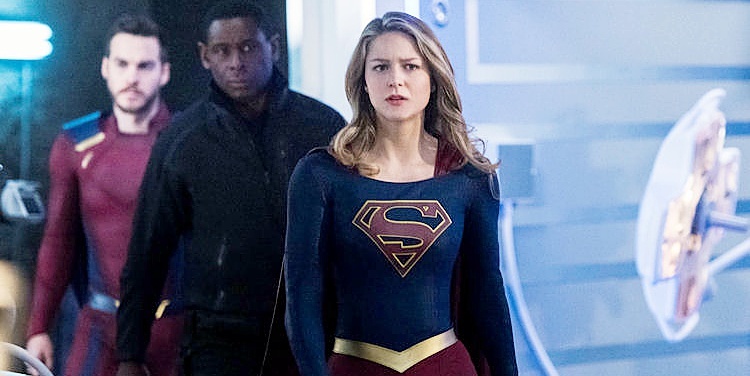 Supergirl has a good track record of using story to mirror modern society, but employing this particular issue as just another piece of episode filler just feels cheap. If this is the last we hear about bad policing or representation on Supergirl, then the episode deserves to go into the same hall of shame as Arrow‘s gun debate, or the Law & Order “Is this because I am a lesbian?” scene. As far as filler episodes go, “The Fanatical” was pretty average, and another instance of the writers making their way through the end of season checklist on the way to the World Killer saga resolution.